3:30 AM PT -- Authorities now say 7 people are dead and 48 injured. The 3 suspects were shot and killed by police. 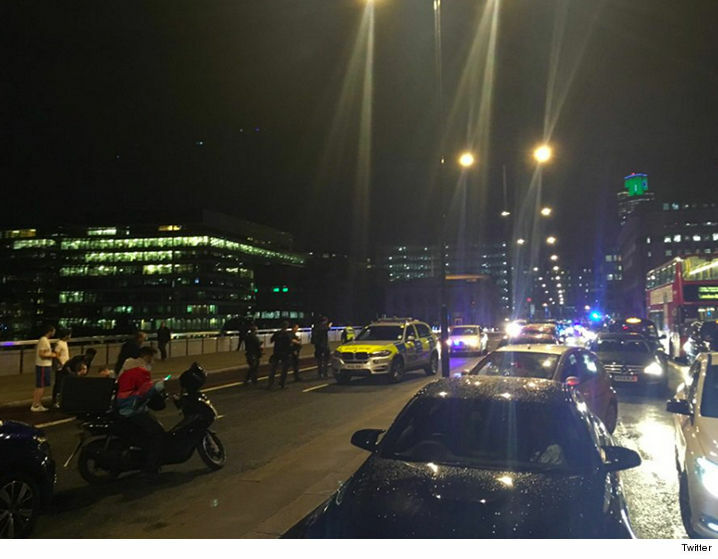 After running over dozens of people on the London Bridge, the suspects left and reportedly went to Borough Market, where a number of patrons were stabbed. Police confronted and killed the 3. They were wearing what looked like explosive vests, but the garments did not contain explosives. Police shot the 3 men just 8 minutes after the initial attack. 5:00 PM PT -- The Metropolitan Police have declared the incidents at the London Bridge and Borough Market to be acts of terrorism. A third incident at Vauxhall -- another stabbing -- was not connected. 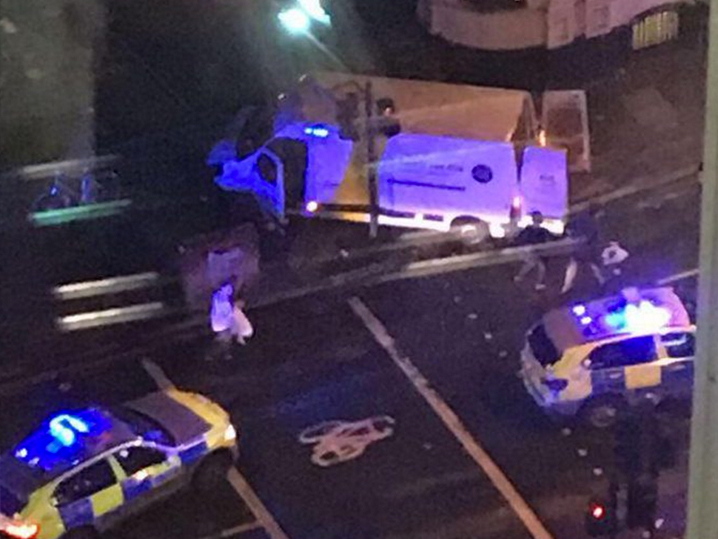 The London Bridge has been closed after a white van drove off the road and plowed into pedestrians late Saturday night. According to early reports ... the van was being driven by a man traveling around 50 mph, and at least 5 people are being treated for injuries after he mounted the pavement and struck them. The Metropolitan Police say they are dealing with an incident on the bridge, and have armed officers on the scene. They've also responded to reports of stabbings at the nearby Borough Market. It's unclear if the 2 incidents are connected at this point. BBC reporter Holly Jones claims she saw a man being arrested following the van incident -- he was shirtless while being handcuffed. London's Southwark Bridge has also been closed as a precaution. There is grave concern this is another terrorist attack in the UK.